If you're thinking of sending a message or announcement and want to add a personalized touch, the Cornucopia Letterhead may be just the thing for you! 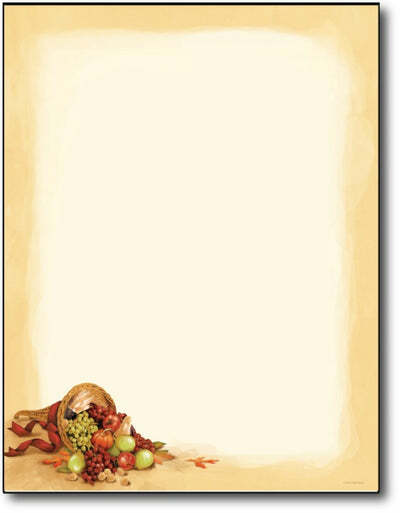 This letterhead features a bountiful cornucopia of fruit with a simple light brown border. Our stationery paper measures 8 1/2" x 11" and is made from an Inkjet & Laser compatible 50lb Text stationery stock. Acid and lignin free.